We have tried since January 12, 2000 to get someone to hear us, but our words have only fallen on the deaf ears of the newspapers, the TV station, Senator Patty Murray, and the President of the United States. A mother will go public with the truth about her son that was killed while in the 82nd airborne at FT Bragg, NC. 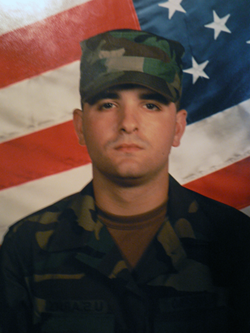 John grew up in Issaquah, Washington and joined the Army to protect his county. He was killed in a car accident just outside Fort Bragg, NC. Once the Army notified us of John’s death, we signed a legal document asking them to dress and prepare him for viewing. The Army had a contract with the Lafayette Funeral Home owned by Phyllis & Bobby Garvin in NC. They or someone else picked up our son but did not even care for him:, they were not even kind enough to clean and prepare his body. They had the Army Casualty Office, John Colton, and Sgt. Bob Hennis make up a special story that they had seen John and that he was so badly disfigured that a positive identification of our son could not be made. Later, we found out they did not do their job. They put him into a body bag marked “unviewable” and sent him home to his mother. The funeral home collected the money but did not do as they were asked by his parents (and their contractee, the Army). Bobby Garvin replied to my husband on a telephone call and said, “The Army gives me only so many hours to prepare him and we could not put him back together.” However, John was intact and could have been cared for. They saw John as a dark-skinned person and because of his ethnic background (Pacific Islander) said “no one will ever know if we keep the same story.” Well they do not know this mother. We have clear pictures of this accident and it looks like he is just sleeping and his body was intact. These people are inhumane because they did not do their job nor could they speak the truth even under oath. They said our son had flaming tattoos when he did not. Did we receive our son or someone else? This mother will never know, and she continues searching for her son everyday. I wear a heart medal around my neck and wonder if the ashes in it are of John’s. 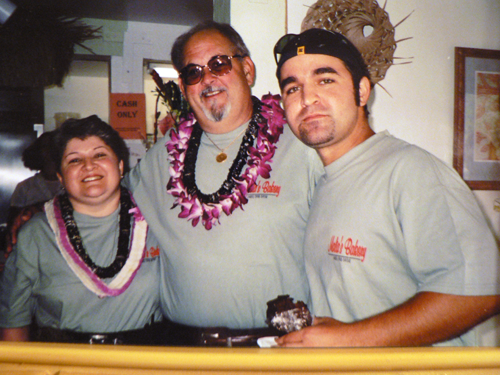 John was later sent to a funeral home which we hired, Purdy & Waters in Lynnwood, Washington. We requested more then twenty times to see our son and the answer was always a “NO”. The bottom line was that it was their job to grant our request, but that request never followed through. Not being able to say “goodbye” to my child has caused me to never STOP searching. After a five-year lawsuit with Purdy & Walters’ insurance company, “Uniservice Corporation,” we won the case and moved forward to educate the public with what has happened to us. We hope that this will never happen to another mother or loved one. However, it has not stopped the government and local mortuaries from doing their job incorrectly. When you ask the Army or any branch of service to dress your son, it should be done. If our son was handled this way, then how many of our men and women, whom happen to be our loved ones, have come home this way? How many haven’t even received the remains of their loved ones? My letters to President Clinton, President Bush, Senator John Kerry, Dave Reichert, John Edwards, David Irons, (whom I’m certain remembers me) have met with no result. Senator Patty Murray and her assistant Muriel Gibson two years of us working with her only to spend our tax money and be told go away. If the case involved their child it would be on TV, and the coverage would not stop. When you ask the Army for answers, all they say is “CASE CLOSED.” What they have done is wrong. I will never stop crusading to find the whole truth of what really happened to my son, nor will I stop until I receive justice for how my son was treated. Fort Bragg took all his personal things, cleaned out his room, and sent a few items home that needed a cleaning. They even took John’s clothes. We did not receive his watch, wallet, computer, games, jump medal, St. Christopher medal, or dog tags; the list goes on. They gave me someone else’s boots and uniform which did not even fit our son. To the wonderful man that held our son’s hand until he died, you will be my angel forever. As we move forward, I hope we are able to write a book of the truth, and what really goes on in a loved one’s heart. It affects a parent to lose their child without being able to say goodbye. Your heart will search for them until you die. If you are a mother, your children are your life. When you have them for twenty-one years and one day receive a picture of them dead, or when someone tells you that they are gone, you have to touch them or see them to know that it had really happened. If this ever happened to your loved one, you should not have to ask twice: You are the boss and if you say “I want to see my child,” they have to let you say goodbye. Ask your loved ones to take pictures of their items, like our son did, and ask them to send them to you. This way, you will know just what they have and if those items are not returned, you will be able to ask for them. We do not even know if we have received our son, and no one can answer that question. Please, help us get some type of closure. We ask anyone wishing to help us to contact Lt. Col. Anita Chapman at 703-325-5437 and ask her, on our behalf, to act on this matter. Any and all help would be appreciated. All we want to do is lay our son to rest, and find peace. Someone out there knows something and we need your help. We ask anyone who can help to please contact us. This week, the Australian network SBS brings its focus to the death of Pfc. 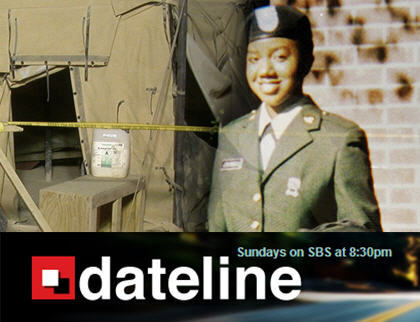 LaVena Johnson and the issue of sexual assault in the US military in a Dateline story by journalist Ginny Stein. The feature, “Dark Secrets,” is scheduled to air on May 29, but the video is available now to watch online. [Sexual assault] is a pervasive problem, with Veterans Affairs statistics showing nearly one in three female soldiers are sexually harassed while serving their country, and for some the consequences are devastating. Private LaVena Lyn Johnson was just five weeks into her tour of Iraq when she was found dead in a contractor’s tent. The US Army concluded the 19-year-old committed suicide after firing her M16 rifle into her mouth. However, her father, who worked in the military as a civilian specialist in psychology, refuses to believe his daughter committed suicide. For the past three years, Dr John Johnson has studied almost every aspect of his daughter’s death. He now believes LaVena was raped and murdered by someone in her camp, and accuses the army of covering up a soldier on soldier slaying. Dr Johnson says he will keep fighting for justice until the army changes “their attitude about how they treat women in the military”. Stein is an award-winning journalist who previously spent four years in Southeast Asia reporting for the ABC. Her stories for SBS have taken her from Indonesia to Zimbabwe, from Rwanda to the United States. Reporting from Florissant, Mo. — Inside the tidy suburban St. Louis home of John and Linda Johnson, no photos of their eldest daughter grace the walls. Army Pfc. LaVena Johnson was just 19 when she died in Iraq in 2005; to this day her parents cannot bear to display reminders of her life. There was no suicide note, no recovered bullet and no significant gunshot residue on her hands. But the Army cited fellow soldiers’ reports that she was depressed and had spoken of killing herself. Johnson maintains that his daughter was raped and killed, and that her death scene was staged to make it appear as if she shot herself. He accuses the Army of covering up for a killer or killers to conceal a soldier-on-soldier slaying, explaining that military personnel would have had unrestricted access to the area where his daughter died and therefore would not have attracted undue attention. If LaVena’s death were investigated as a homicide, Johnson added, it would raise questions about base security and discourage women from enlisting. Like the Johnsons, other families have questioned the military’s suicide findings in the deaths of their daughters in Iraq or Afghanistan. They too accuse the military of jumping to conclusions and ignoring evidence of murder. But these grieving families have discovered that there are no clear answers and few conclusive facts, only murky evidence that can be interpreted more than one way. The result is a climate of mistrust and suspicion that leaves the military on the defensive and the families feeling deceived. The families have had an determined advocate in retired Army Colonel Ann Wright, who has been quoted many times in this website. Wright accuses the military of withholding evidence pointing to sexual assaults and other attacks on female service members. She contends that the military has been too quick to close the cases of some women’s deaths as suicides without conducting thorough homicide investigations. She accuses the military of stonewalling families who question its findings. Zucchino’s story is well-written, and highly recommended for anyone unfamiliar with LaVena Johnson. 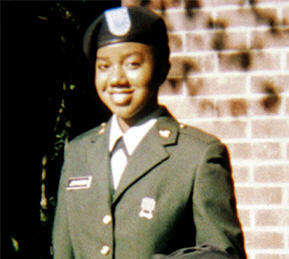 PFC LaVena Johnson lost her life in Iraq on July 19, 2005. Although the U.S. Army has ruled her death a suicide, the evidence would suggest that this was not the case. The family of PFC LaVena Johnson has worked tirelessly to have the case re-opened and properly investigated. LaVena’s father, Dr. John H. Johnson will join Black Talk Radio on Jan 19, 2009 at 8pm ET, 7pm CT and 6pm PT. He will update us on the efforts to reveal the the truth about how his daughter was brutally raped, assaulted and murdered and have the case re-opened. Note: Listeners are invited to call in with questions and comments; the call-in number is (347) 826-9112. The program can be accessed at the appropriate time via the audio player below, which can be easily embedded on your own website and shared in formats such as Facebook. Interviewer Scotty Reid is the president of the Black Talk Media Project, a non-profit education and media company incorporated in North Carolina. Reid is a father, veteran and has hosted an Internet radio show for almost two years. The project’s mission is the promotion of media relevant to the Black community, and value-based programming that is ethical and family-friendly. The Black Talk Radio Network was created in July of 2008 and has steadily grown since its conception; the Black Talk Media Project was incorporated in December of 2008. Thinking about soldiers makes my heart hurt, a little. For the past three years, anything and everything having to do with the American military – especially the US Army – has been influenced by my understanding of the events surrounding the death in Iraq of Pfc. LaVena Johnson of Florissant, Missouri. The ruling of suicide as the cause of her death, as determined by military investigators; the anguish and anger of her father and mother as their pleas to renew the investigation of the case have met with stony silence and resistance from authorities. Interest from legislators ebbs and flows – mostly ebbs – and progress has come slowly indeed. Three years is a long time in which to see little change, and so LaVena’s fate has come to color everything – for me – when it comes to military service. There is more involved, however. My father served in the Air Force for twenty years. His duty carried him to far countries, and we – my mother, my brother, and myself – saw little of him for long periods of time. We finally came together as a family for the last two years of his stint, when we moved from South Carolina to live together at Whiteman Air Force Base, then home of the Minuteman missile. Dad ended his service as a technical sergeant. After that, we moved back to South Carolina. My father died of cancer a few years afterwards. I never felt that I knew him – he had been gone so often, and for so long – and I think it is fair to say that he did not know me. Military service came to mean absence. It was just a consequence of wearing the uniform. I was always proud of my father’s uniform. Never knew the man, not really, but I was proud that he had served. The tension between absence and pride is not meant to be reconciled, and yet everyone with a loved one in uniform must find a way to balance the two. The necessity of doing so is why we always make the distinction, whether or not we realize it or admit it, between citizens and soldiers. On a basic level, though, the distinction does not exist: the sacrifice made by the soldier in answering a call to arms is mirrored by the sacrifice made by those who have to let them go. So when the death of a soldier goes unanswered by those in charge, it is an insult to the soldier’s sacrifice, and to ours. This is a day for veterans, a day in which to give them the honor they deserve for having subordinated themselves to something greater than the individual. That does not obviate the injustice of the unanswered death of soldiers such as LaVena Johnson; rather, it underscores the necessity of doing justice by her, and by her family, in the name of their sacrifice. Though I did not know my father well, I believe that he would agree. The October 14, 2008 editorial in the Fayetteville, NC Observer “Our View: Military Domestic Violence Needs More Aggressive Prevention,” focused on the murder of four military women in North Carolina and contained a startling comment: “In a way, it’s surprising that there aren’t more bodies piling up at military bases all over this nation.” The Observer is the newspaper that serves Fort Bragg, one of the military’s largest bases. The editorial was in response to the vigil held on October 8 at the gates of Fort Bragg to commemorate the murder of four US military women in North Carolina in the past nine months, and to call for action to prevent more murders by members of the US military. In a nine-month period from December 2007 to September 2008, four US military women were killed by military men near the Army’s Fort Bragg and the Marine Corps’s Camp Lejeune, two military mega-bases in North Carolina. It’s an old argument. We train men, and now women, to wage war, then we are baffled when they do that to each other. 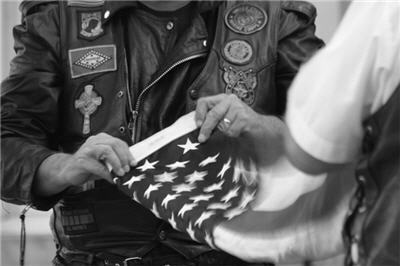 It is driven in times of war by a national culture that can extol violence, conflating it with patriotism. And don’t overlook the general population raised on a steady diet of malevolence disguised as entertainment. In a way, it’s surprising that there aren’t more bodies piling up at military bases all over this nation. We are certain, nevertheless, that the demonstrators (at the gates of Fort Bragg) were on to something that we as a community need to address. This may become an epidemic that threatens us all. It is a problem we, as a community, military and civilian, can’t ignore. It is also a problem that we have not, so far, effectively solved. An bold editorial from a military-town newspaper, and well worth reading. Thanks to Col. Wright, and to Deborah Newell Tornello of litbrit for the heads-up on the Truthout article. For issues with site performance, please contact contact the site manager.